For friends and family unable to attend the 2015 graduation exercises at Wake Forest University, the recorded webcast of the Wake Forest Law Hooding Ceremony 2015 and the Commencement webcast are both available to watch via the following Livestream players and links. Graduates, if your attending family members did not receive a print copy of the Hooding Ceremony program, please email lawcomm@wfu.edu with Hooding Program in the subject line by Friday, May 22 to request up to four programs that can be mailed to you. 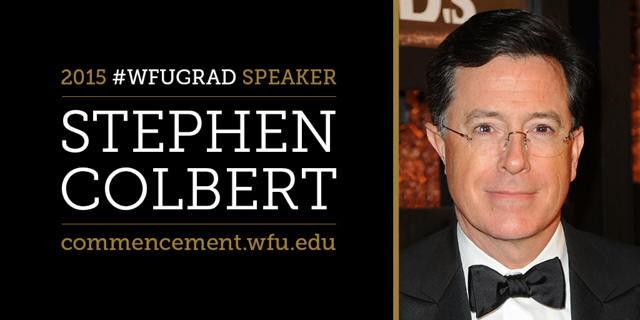 Watch Commencement and comedian and author Stephen Colbert’s speech to the graduates at the Livestream website.